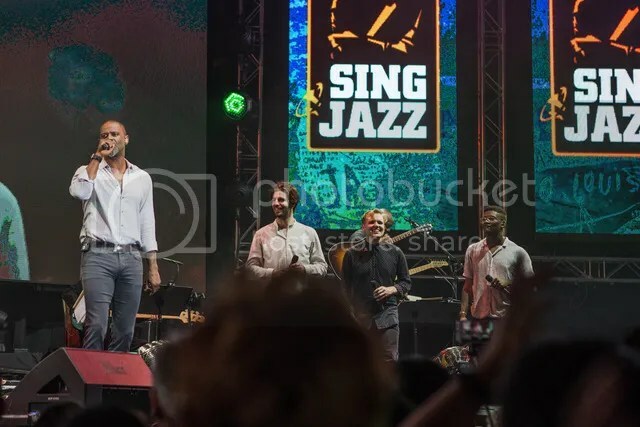 The annual Singapore International Jazz Festival 2017 was back again at Marina Bay Sands last weekend. The three day music-vaganza featured interesting line up of award winning musicians from around the world. It was amazing experience despite the inevitable pouring rain! We share with you our top favourites from the three days. 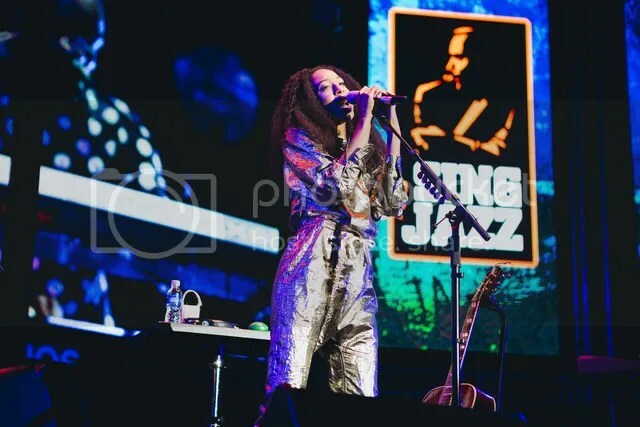 Grammy award winner, Corinne Bailey Rae shared her successful musical career at Marina Bay Sands’ Artscience On Screen: In Conversation With, a programme initiative hosted by Marina Bay Sands for youths to gain experience in music, film, art and culture by experts and celebrities. At the Main Stage, the show ended with a soulful acoustic stylings from Rae who was dressed in a futuristic silver jumpsuit. The British singer was on a roll as she stole the attention of the crowd on the dance floor. The crowd were seen swaying and singing along with her throughout the night. On the second day, the one and only Ray Parker Jr. entertained the audience with the Ghostbusters theme and kept the positive ambiance despite the heavy downpour. 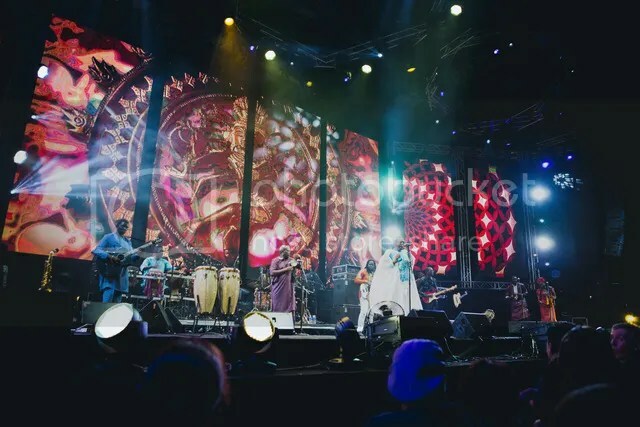 Ending the night at the Main Stage, Youssou Ndour & Le Super Etoile De Dakar got the crowd hooked and dancing to the rhythm of the authentic African music. The colour African costumes and powerful vocals kept the dance floor filled with people of all ages dancing. The encore was definitely worth the wait! 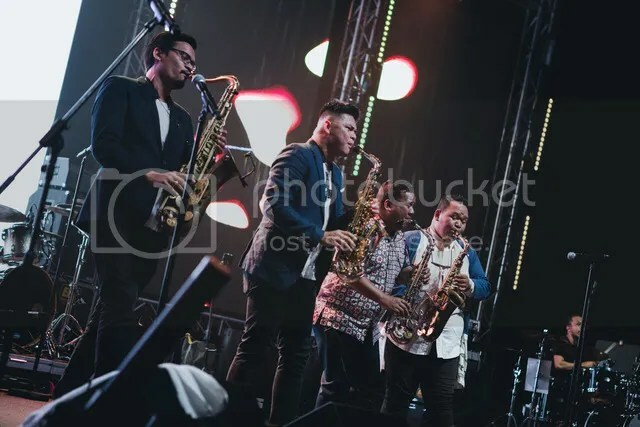 At the Late Show, coming from Indonesia, Saxx In The City, a jazz quartet performed originals such as In the Night which was recently released on Spotify. They ended their performance with a medley of songs from Stevie Wonder. The after party ended at 4am with DJ stylings from Rudimental. Finally, on the last day, the most awaited performances by Hitman David Foster & Friends, featuring Chaka Khan, Brian McKnight, Thirdstory, Dira Sugandi and Nick Zavior. The crowd was singing along to the classics such as Brian Mcknight’s, Back at One! A familiar face, local singer, Roze Kasmani had a once in a lifetime opportunity to sing alongside with David Foster himself. It was an unforgettable experience to experience Jazz numbers from international acts in our buzzing city state! A fact which I truly enjoyed was the high energy drums, trumpets, trombones and a touch the saxophone performances that was going on during intermissions. And of course, the random interactions between strangers who danced together during the street performances. Diversity at its best! The Fifth Parlour would like to thank Singapore Jazz Festival 2017 for their invitation. We look forward to next year’s festival!